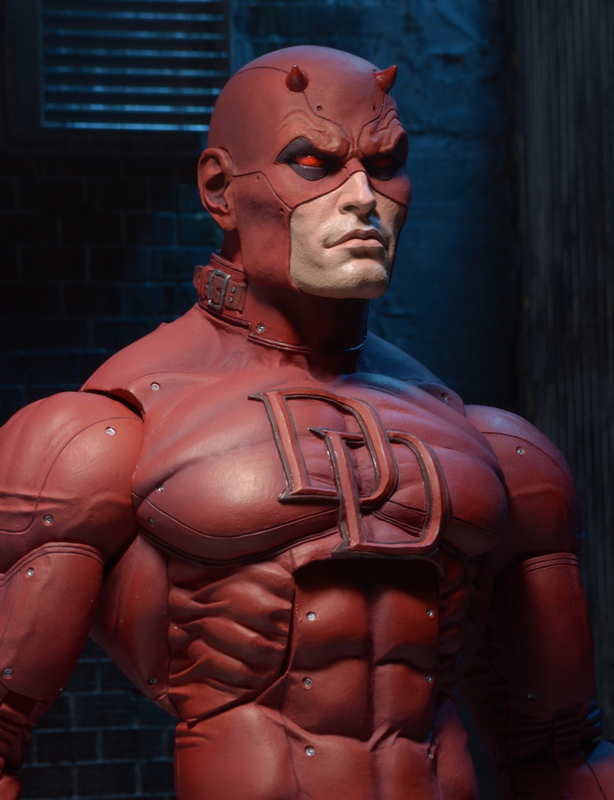 At Toy Fair 2017, we saw the debut of NECA‘s new Marvel Comics style Daredevil 1/4 Scale Figure. The figure, along with Dr. Strange, was seen at the NECA Booth during the event. 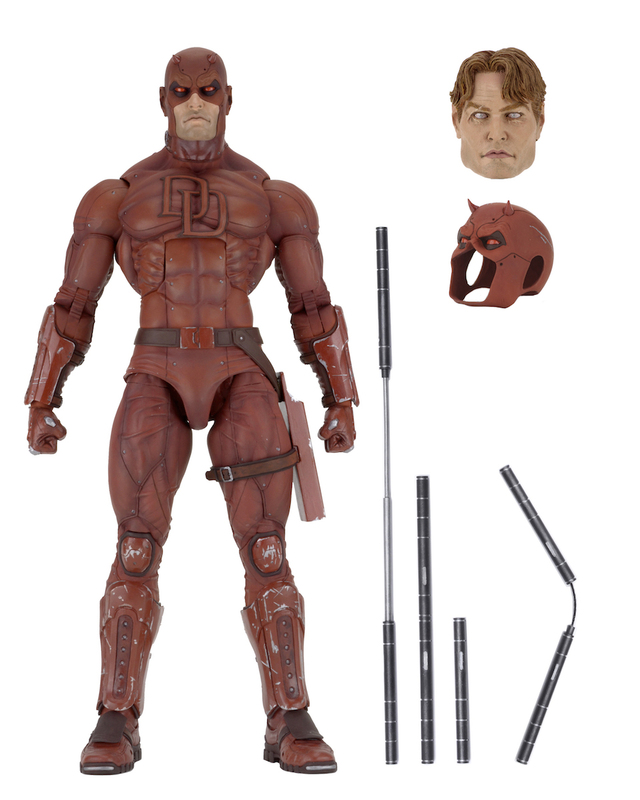 NECA has shared new official images and details. 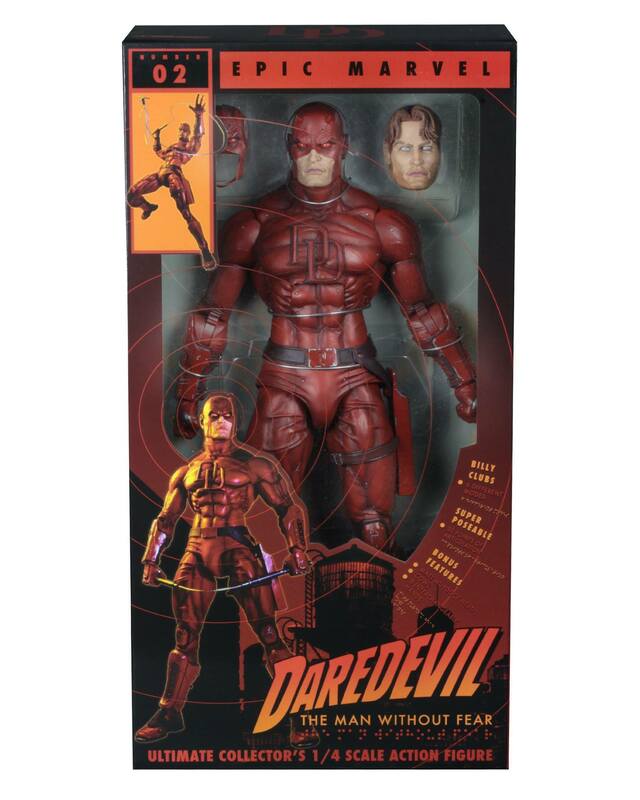 The Daredevil figure is scheduled for an August release. See all of the photos by reading on. 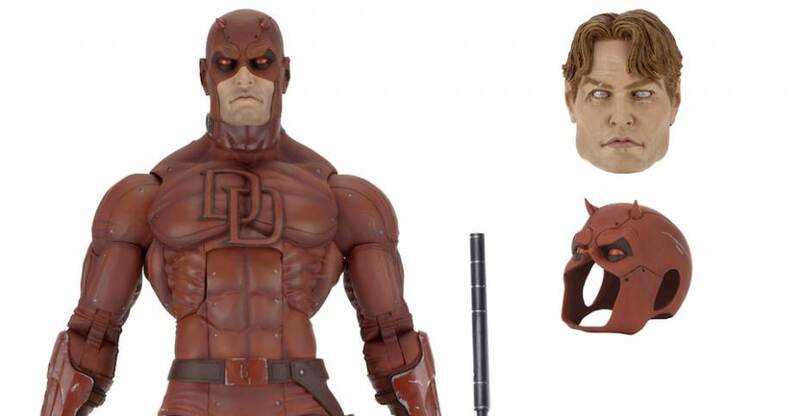 the "blind" head is beyond creepsville. 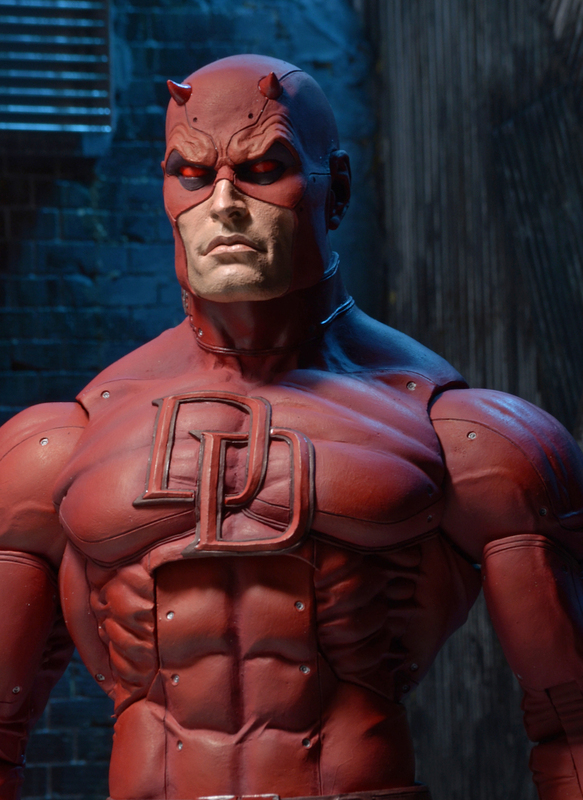 I love NECA, but all of their comic sculpts so far (Deadpool, Daredevil, Batman [from DC vs Alien v Predator]...) have Robert Z'dar face musculature, and I think it completely ruins the figures overall. They need to dial the square-jaw down by, like, 80%. 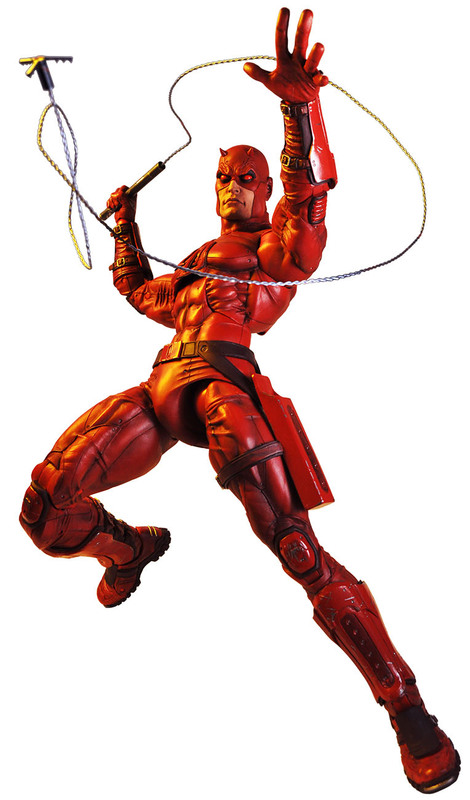 i have the Deadpool this size...and together they'd look sweeeet...but WhoT.F. has the room for these things...i def don't. I sure don't! I got the four Turtles because, well Ninja Turtles but that is absolutely all the room I have for figures that size. Completing that set showed me that there is only so much room for these and those four brothers are it for me. I won't even be able to display the Shredder and foot coming out later this year. i saw a Dr. Strange the other day in this scale and just thought...if i had all the room in the world...i'd get this.. I think htat is my only solution to Space problems. 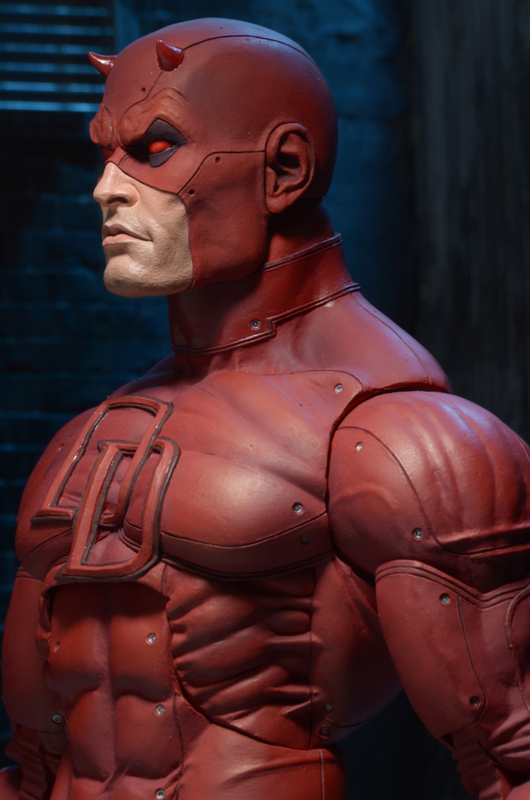 Neca designed a better DD suit than Netflix.